As a homeowner, there are so many areas of your home to keep up with that it can be overwhelming. Some areas can be maintained by a little elbow grease and some ingenuity, but others require the expertise of a professional. Pressure washing your house is definitely one of those areas that can be very misleading. It seems pretty simple. You just rent the equipment and mark off the time on your calendar next saturday, right? Well... let's just explore some common mistakes we've seen homeowners make when taking this approach. Probably the most common mistake is using too much pressure. If you own or have rented a portable machine, you will find that it has limitations. One of the major limitations is the ability to control the pressure of the water coming out. The result when using too much pressure will be what we call “zorro” marks. This is the back and forth motion you make with the wand causing etching in concrete, stripping paint, cracking glass and furring wood. The cure for this mistake, if you are using pressure washing equipment with a high psi, is to hold the wand off the surface area. Give yourself some distance and you won't have as many permanent mistakes to fix in the future. Another classic mistake we see our homeowners make is not using chemical to aid the pressure washing process. By only using water you end up with several problems. 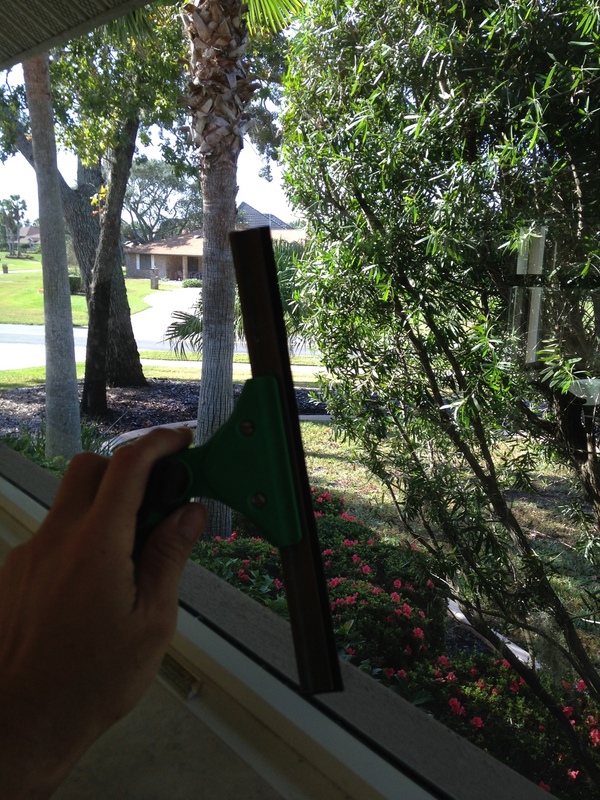 First, you will find that it makes cleaning some areas more difficult by a factor of about 10. Using just cold water you are trying to break through the barrier of dirt and get the entire surface clean at the same time. Sometimes this doesn't work which will result in needing to use more pressure. And we all know what happens when you use too much pressure. By only using water you can also spread mold spores around that will continue to grow after everything dries out. You will make very little improvement without actually treating the problem. Using a chemical in the pressure washing process is almost always necessary. In our process of cleaning, we start by coating the area to be cleaned with a diluted chlorine. This helps to break the barrier of mold or dirt so when you start pressure washing, you will get the entire surface clean. Of course, the amount of progress you make is going to be relative to what type of dirt you are cleaning and how long it has been on the surface area. This technique is called soft washing when you chemically treat the area to be cleaned and rinse without high pressure. 1. Door Openings: When you get out there and start cleaning it is easy to forget that you have a small gap under your front door. You start spraying water around your front entrance and when you finish you walk inside to a soaked foyer. This is not good. 2. Drywall ceilings on covered patios: This one is can be tricky and here is why. You may be thinking you are doing something great by moving all your furniture off your back covered patio and cleaning the ceiling, but what you end up with is a cracking and sagging ceiling. The reason is sometimes builders don't pay close enough attention to the drywall that is being installed by their subs and they will install indoor drywall outside. We have seen this more times than we can count. The tape and drywall are completely different for an outside application and when water is applied, you are now replacing the entire ceiling. The key here is to know why kind of ceiling it is so you don't make a costly mistake. 3. Non-Water Tight Windows: Just like the issue with gaps in your doors, windows can cause you even more difficulty. If you work hard getting the window frame cleaned and later realize you have soaked your entire bedroom with water. And even worse, you can end up with wood rot around your window that will be a much more costly fix. Obviously, a professional pressure washing company will have an array of equipment that will allow them to manage any project related to commercial or residential pressure washing. The typical homeowner will be more limited in the equipment available and will have to learn how to use what they have to clean various different areas of their home. For the average homeowner, you will want to use a pressure washer that can handle a higher volume of water and a lower pressure. Anything with the specifications of 3 gallons per minute or higher and 3000psi or lower is what you need. This will help you stay away from tearing up parts of your home that are fragile or that need to be handled delicately. Again, it can be hard to find equipment like this at the big box stores, so you may have to contact a pressure washing equipment dealer. The basic conclusion is to avoid all of these mistakes by getting a professional pressure washing company to come out and inspect your home. If you have never had a professional come out and give you an estimate or it's been a while since you did, give us a call. You might be surprised at how much it makes sense to have a professional clean and maintain your home.